Washing machines take a lot of abuse. A person relies on these washers to remove dirt, stains, and other dirt that gets on their clothing. Washer machines are run several times a week and many people do not think twice about this machine. 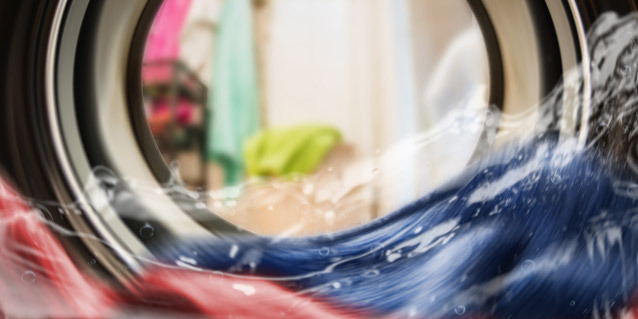 There are some tips to maintain the washing machine to help keep it running smoothly. Once a month a person should give their washing machine a deep cleaning. There are special deep cleaners out there that can remove any buildup inside the washer. All a person has to is add the cleaner and run the washer on the hot setting. A person can also make their own cleaner. A little bit of bleach can be mixed with laundry detergent and allow to soak in the machine. The washer is then run on the hot cycle and all the dirt and grime will be removed. Many people close the door or the lid to the washer machine when it is not in use. Instead of closing the washer up leave the door or the lid open when it is not in use. This will allow the moisture to evaporate from the washer machine and will help the washer run more efficiently. There are times when people spill things on the washer such as laundry detergent. Many people leave the spill alone. This is not a good thing to do. The spill should be cleaned up right away. Many washer machines are made from porcelain or synthetic enamel. If the spill is left on the washer it can wear this enamel away and cause problems. People often forget to wipe down the inside of the washing machine. This will help remove any moisture that is left behind or dirt from the clothing. This only has to be done once a week. Removing the residue will help the washer machine gets the cloths clean and keep it running for a longer period of time. A person should carefully check the connection of the washer machine including the hoses. They should not be bent. If they are bent the hoses should be replaced. The typical washer machine hoses last for around five years. Replacing the hoses will help the washer machine run longer and will prevent any flooding in the home. People often wash their clothing and leave it in the washer machine. Once the washer cycle is done a person should remove their clothing right away. If the clothing is left to sit in the washer even for a short period of time mold and mildew can begin to grow. These are just some simple ways that a person can care for their washer machine. If a person takes the time to keep the washer machine clean and in proper working order the machine will work better. The cloths will come out cleaner and the washer machine will work for a longer period of time without having to be replaced. If your appliance is facing any major problems, contact Washing Machine Repair Singapore for fast, easy and affordable repair services.